cebas has released psd-manager 4.0, the latest version of its multi-layer PSD exporter for 3ds Max. The update improves handling of render elements and masks, adds support for adjustment layers, and brings psd-manager in line with current V-Ray and Corona workflows. Update: The original version of this story incorrectly referred to version 4.0 as the first update to the software in five years. You can see a correction from developer Daniel Schmidt in the comments below. psd-manager streamlines the process of compiling render elements generated in Max into a layered PSD file for post-production in Photoshop, automatically generating masks for individual objects or materials. To that, psd-manager 4.0 adds the option to generate masks from 3ds Max’s selection sets, and adds a new Auto-Sort mode that “keeps layers organised continuously”. Gamma correction data generated in 3ds Max can also now be exported as an adjustment layer within Photoshop, streamlining linear workflow. Photoshop’s PSB format is also now supported, making it possible to generate files over 2GB in size or 30,000px wide, automatically switching to PSB when the limits of the PSD format are exceeded. The update also improves compatibility with key third-party render engines, adding support for features that have been added to V-Ray since psd-manager 3 was released, including V-Ray 3.4‘s Denoiser system. In addition, PSD-Manager now supports render elements generated from the newer Corona Renderer. 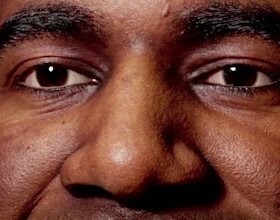 You can read about all of the new features in more detail via the link at the foot of the story. 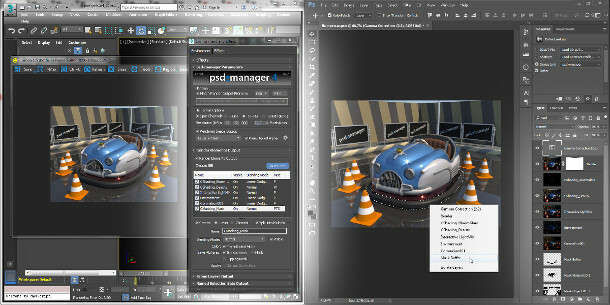 psd-manager 4.0 is available now for 3ds Max 2013 and above. A perpetual licence costs $159.